Don't get me wrong, I just want to clarify that I'm not turning into food reviews. Personally, I find it hard to write posts about food because I just can't find the right words or the right adjective to describe the whole dinning experience. Do you still remember the time when you went back home to where you're parents have raised you? Other than asking how your friends and relatives are doing you'd also asked if some of your favorite restaurants are still around. And so this post is about all about that. If you've been reading my posts last week or this week then you would know that I went back home to Cebu, Philippines. If you are visiting Cebu, Philippines sometime soon or in the near future then consider this as a tip on where to munch when your stomach starts to demand. Cebuano's are talking about this burger. So when my sister in law brought me in, I find that the burger was never a disappoint. I could then easily identify myself with my fellow Cebuano's raving about this burger. It's super cheap at PHP150 with a big portion. The meat is so good that I could really taste the beef in it. 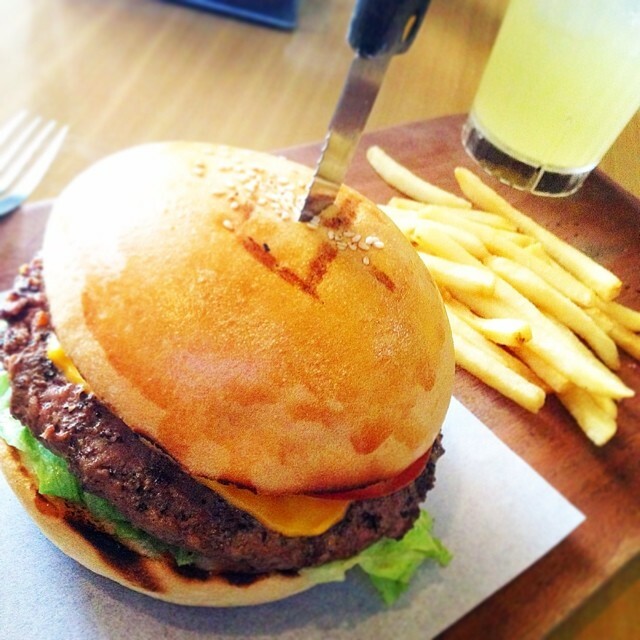 I could honesty attest that this burger is super mouth watering. #Tip: Avoid going in the afternoon because flies find their way easily inside the restaurant. I remember having this conversation with my husband about shawarma's. The truth is I haven't tried it ever so I don't really know how it taste like. My husband could only say it's good and I should try it, we'll until... I've tried Jafar's Shawarma. Oh, even the mention of it makes me want to go back home now. I've ordered the US angus beef because it's their best seller and oh boy it was just soooo good. They have this yogurt sauce only available at their stall. I heard they personally culture it. I must tell you that their yogurt sauce is a very good compliment to their shawarma's. When I get back home I'm planning to try the other varieties they offer. By the way 'Chorizo flavored Shawarma' is also good. Yum! 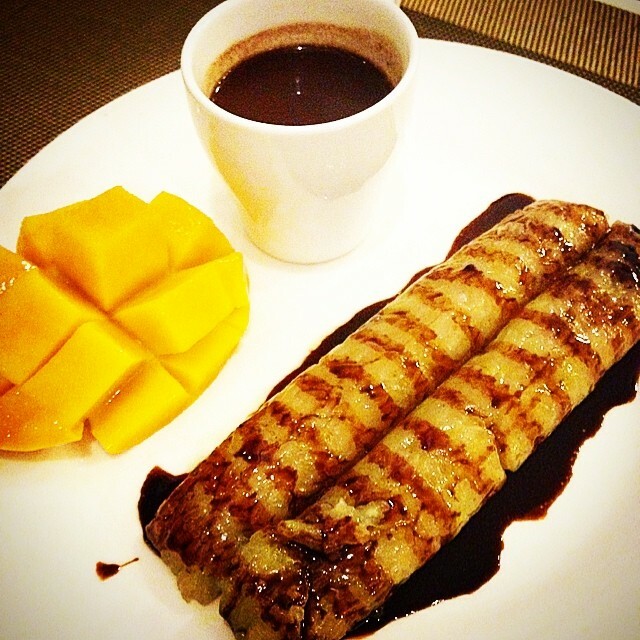 As if that shawarma (pictured above) is not yet enough, we also dig in for some desserts at Mango Tango Cafe. It's all our fault for allowing ourselves to walk around Banilad Town Center after having that shawarma goodness, giving it time to digest pretty good at our stomachs, when sudenly we found macarons! Hubby and I just can't resist macarons. I mean good for you if you can. Finally the best restaurant we've been to. Can you believe we've been eating here for 4 straight days. I mean, it's really something if you've been wanting to visit the same restaurant for 4 straight days and eating the same kind of food. But it's a different story altogether if you've been eating the same food at a breakfast dining hall of the hotel you've checked in because that would mean you have no other choice. Ahaha! We'll, Pia.Patricia Cafe serves really good food. 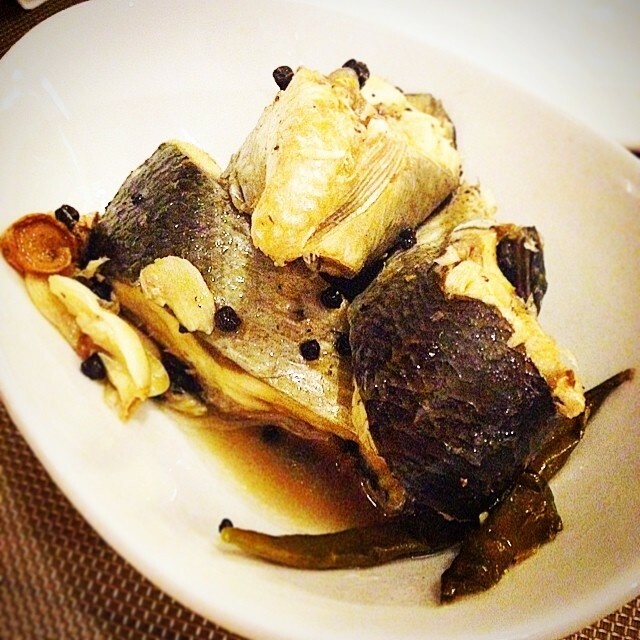 They serve Cebu's best heirloom recipes. So if you're visiting Cebu and been wanting to try local food then Pia.Patricia Cafe is a must. Fish Paksiw a Filipino dish consisting of fish or meat (above is fish) cooked in vinegar, garlic and salt. Sorry I really can't describe to you how it taste like, as I've mentioned above I don't really blog about food. But Pia Patricia Cafe cooks it real good that I am left speechless. I'm not really a fan of carrot cakes. In fact, I don't really eat one because of a bad experience. But this carrot cake from Pia.Patricia Cafe change my whole perception about carrot cakes in general. Now I've changed my mind and became a carrot cake lover but I'm only eating the carrot cake Pia.Patricia Cafe serves. 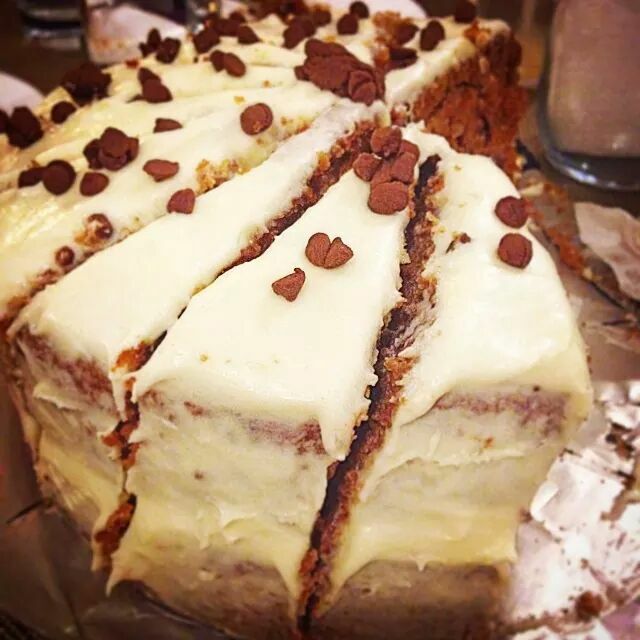 Okay to be fair, I'll give others a chance that if they can match Pia.Patricia Cafe's carrot cake. Last but not the least is their Humba or Pork Belly mixed with sugar. Sounds funny right? We'll if you haven't tried it then you would really wonder how it tastes like. I could write many words to tell you how good Humba is but I believe experience is the best teacher here. Hahaha! 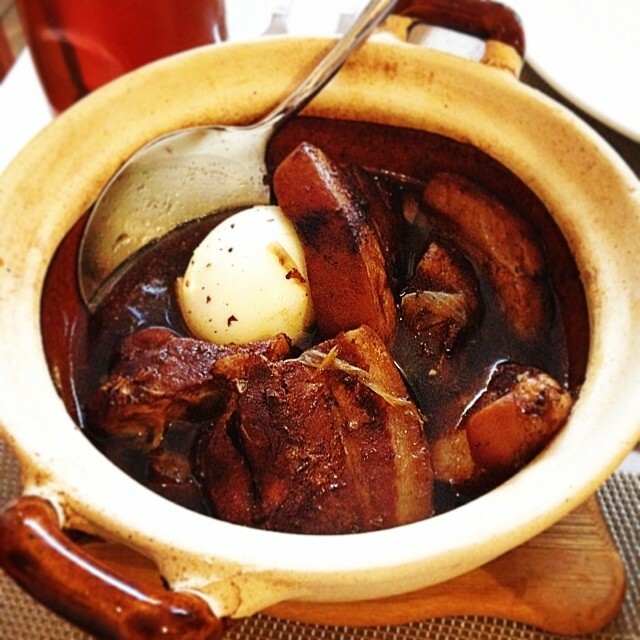 Humba is a local dish in Cebu. It's every Cebuano's favorite coming from a Cebuana herself who loves humba. I must say Pia.Patricia Cafe serves the best. Address: A.S Fortuna Stree Cebu, City Phlippines near Volvo Cebu beside Maiqui's Bakeshop. Though I didn't manage to capture a nice photo of my experience here, it's also worth mentioning their 'Halo Halo' and their chocolate crinkles. Halo-halo is a popular Filipino dessert with mixtures of shaved ice and evaporated milk to which are added various boiled sweet beans, jello and fruits, and served in a tall glass or bowl. I've been on a hunt on which food place serves the best Halo-halo in Cebu Philippines and I could say Razon's of Guagua serves the best so far. There you have it folks. Hah, this post makes me crave of a Cebuano dish right now. By the way, do let me know in the comment section below which Philippine dish or Cebuano dish in particular you've tried so far and which one do you like. 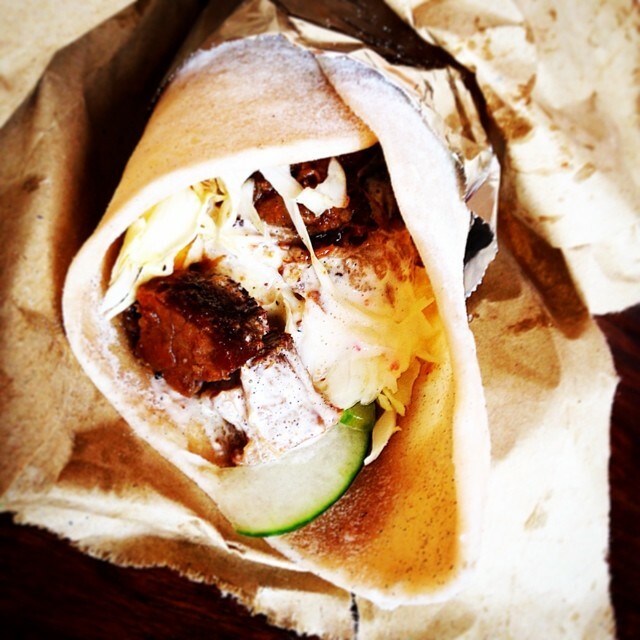 I love Shawarma that one looks so good too. 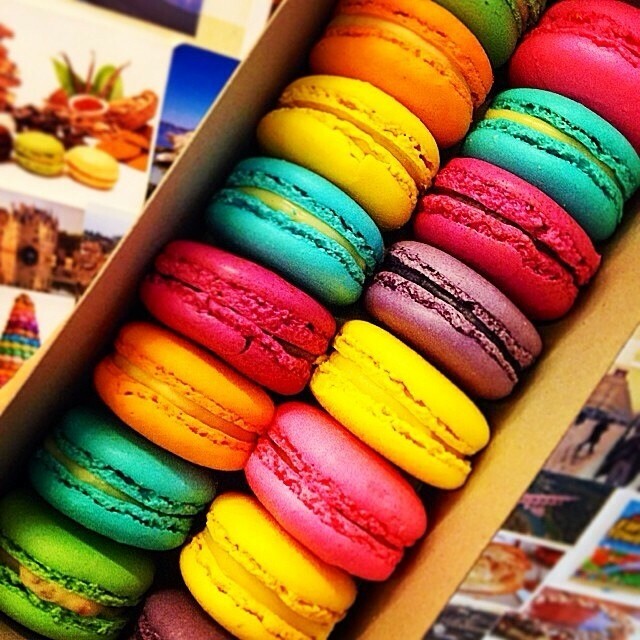 I have never tried macaroons before.